People are fascinated by multi-purpose devices. 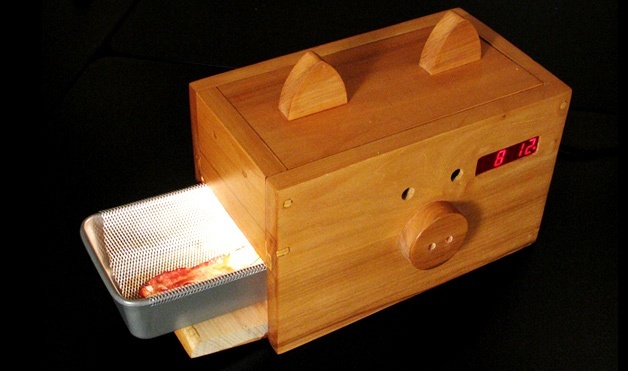 While it's the physical ones that delight us the most (combination pizza cutter + servers, Swiss Army mp3 players, or bacon-making alarm clocks, anyone?) it's the digital ones that help us get work done. Remember life before your first smartphone? Neither do we. The average American spends 4.7 hours a day on their smartphones accomplishing everything from answering work emails to taking photographs. How did we ever get by without them? When it comes to inbound marketing, HubSpot is a marketer's version of a smartphone (or a bacon-making alarm clock). It's the device that brings everything together, making life as a marketer easier, more intuitive, and streamlined. So what exactly is HubSpot, and how does it make your life as a marketer easier? We're digging into what you need to know about HubSpot, from the features to the types of businesses benefiting the most from it. Keep reading to find out more about HubSpot: what it is, who it serves, and why we consider it the most important tool in our marketing toolbox. HubSpot is a sales and marketing automation software platform, with a feature set based on facilitating the inbound marketing methodology. Inbound marketing streamlines the process of attracting website traffic, converting those visitors into leads, and then nurturing and closing those leads into customers. Since its inception in 2007, HubSpot has experienced extraordinary growth. Today more than 21,000 companies in over 90 countries rely on HubSpot to help execute marketing and sales. The company offers both sales and marketing platforms, that work well together or separately. Additionally, HubSpot acts as a content management system (CMS), and provides fast and reliable hosting. This is advantageous for several reasons (more on that in a moment). HubSpot is the tool marketers use to create an inbound marketing machine. Through HubSpot, you can build a better website and online presence to attract, delight, and convert leads. In order to really understand the platform's appeal, it's important to understand a bit more about digital marketing and why HubSpot came to market at just the right time. Choice: It's changed the way people buy. Our story begins around 2000 - that's when Google became a household name. Suddenly, internet users could find websites and resources easily using search queries and key words. This was a revolution - for both brands and consumers. Buyers were presented with a number of choices for every query; research became easier, and the internet became the go to for information. For companies and brands, the rise of Google search and online advertising presented a new opportunity to attract customers who otherwise might not be interested. People were being marketed to more than ever before. Click bait, pop-ups, fake sites, link spamming, all became common place as marketers fought for impressions and page one rankings. Leads became immune to these once intriguing digital marketing practices. No longer were pop-ups considered cool, or random email sales okay. Marketers were spamming, there had to be a better way. "People don’t want to be interrupted by marketers or harassed by salespeople. They want to be helped." With this new found hypothesis the two had an idea: make the sales and marketing process more human. People want to be spoken to like people, and businesses are more likely to attract customers if they craft their messaging and websites around the idea of a personal approach. Thus, inbound marketing was born. Inbound marketing is about providing helpful, interesting, and entertaining pieces of content that attract the attention of your ideal audience. Using content, you answer the questions your potential customer is trying to answer, and help guide them to the solution you provide. It's a softer, more approachable sales and marketing process. It's called inbound because the customers come to you out of interest rather than you broadcasting messages OUT to them, hoping to inspire action. Content marketing is the general term for creating helpful, entertaining, and educational content online. It's essentially any effort to attract traffic to some form of content posted online. 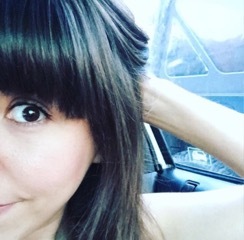 For example, articles and stories posted to Buzzfeed, Forbes, or Medium that drive an action toward a website. Identifying your Buyer Persona's most pertinent questions, concerns, and desires. Identifying the specific keyword search terms they are looking for. Creating content for each stage of the sales funnel (TOFU, MOFU, BOFU). Tracking Key Performance Indicators (KPIs) to determine what's working. Digital Marketing is essentially the same as inbound marketing, though it's less concerned with building an organic pipeline. In a nutshell, digital marketing refers to any marketing done online. Digital marketers use many different digital channels and tactics like SEO, email marketing, social media, paid ads, retargeting, and webiste optimization to attract customers. For more traditional marketers, the inbound approach may feel slow. However, the more you boost your website and blog with valuable content, the more leads you will attract. It has a compounding effect over time, with all of your efforts from each marketing channel working together to provide the answers your buyer personas are searching for. Many marketers (especially one person/small teams) rely on a variety of software and free tools to help them accomplish the many tasks surrounding a successful marketing program. On any given day, they are constantly switching between various tools, plugins, and services. With so much moving around, maintaining a cohesive picture of how everything fits together can be tough. This is where HubSpot comes in. The software removes the need for multiple account logins, putting all your marketing tools in one place. With more cohesive data at your fingertips, knowing what actions to take (and when) becomes a lot easier. Marketers are able to understand which actions, and channels, drive the most results. In case you're wondering, we use HubSpot at Lean Labs. We use it for our own marketing efforts, and we recommend it to our clients. With HubSpot's all-in-one platform, every task is performed inside one system; which not only means increased efficiency, but better analytics, smarter automation, optimized content, and an integrated approach to each channel. No more switching between ten tools that you can't remember the passwords for; no more trying to configure reporting from ten platforms into one easily digestible spreadsheet. With HubSpot marketers get a comprehensive understanding of how each campaign works together holistically. 2. Their CDN Is FAST! Since Google, and other search engine's prioritize sites that load quickly, having a reliable and fast Content Delivery Network (CDN) is key. Not only will your SEO efforts get a boost, your user experience improves when your CDN fires at lightening speed. At Lean Labs, we help clients build better websites, that convert at a higher rate. Put simply, we've been exceedingly impressed with HubSpot's CDN, and never worry about lag, or slow load time. Often, putting all the pieces together for a lead generation campaign can make your head hurt. How do you attach the landing page to the form? The email to the actual downloadable piece of content? How about enrolling the new lead into a workflow? With HubSpot, you don't need a developer, or a designer, to quickly create pages, forms, or emails, and you don't need Albert Einstein to put them all together into a workflow. Each element is measurable, with conversion rates available for each step of the process - from CTA's to Landing Pages. From one off email newsletters, to automated workflows with endless if/then branches, email marketing is easy, intuitive, and measurable with HubSpot. Additionally, there is no need to be a coder, or designer, their email templates are fairly easy to design and can be cloned. Offering automation, personalization, and a/b testing functionality, HubSpot makes it easy for email marketers to test, tweak, and send. For marketers seeking to nurture leads at different stages of the buyer journey, creating automated workflows, that trigger based on lead action (or inaction), helps streamline efforts and keeps leads engaged. Finally, with customizable lists you can create customer segments, do not contact lists, and prospect lists to further target and personalize messaging. 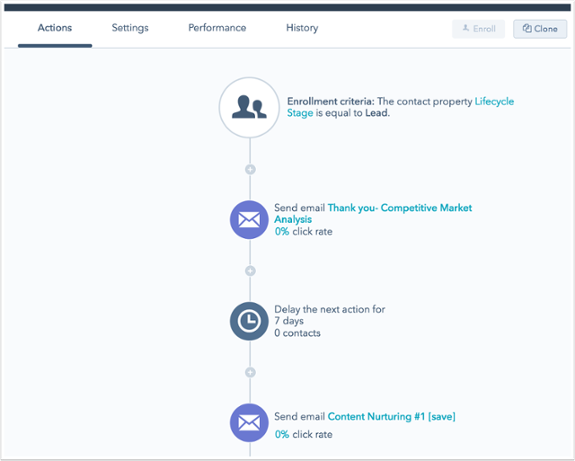 HubSpot's CRM ties into the marketing activities you perform throughout the platform. Look up any contact, and see quickly what interactions they have had with your website, emails, or forms. Additionally, using lead scoring you can further segment contacts and provide your sales team with the warmest leads possible. HubSpot has an entire department devoted to educating customers on how to get the most out of their software. There is no, "Oh, just figure it out on your own!" One of their most popular draws is the HubSpot Academy, which offers free learning courses, along with HubSpot certification programs. Additionally, all packages come with complimentary phone support (something other companies only include in their premium packages). Will HubSpot Work For You? Last year, HubSpot surveyed nearly 4,000 marketers from around the world. Approximately half of those companies generate less than $1 million per year and one-third were affiliated with the software. As it turns out, Inbound marketing is the preferred method for companies spending under $5M annually on marketing. Companies with a sales and marketing team of 50 or less. Companies generating between $1-$100 million. Companies who want to track and prove ROI, but not use 15 tools to do it. Companies with sales cycles of weeks to months, who would benefit from great lead nurturing. Companies whose top priorities are increasing leads and conversions (B2B, B2C, nonprofit). Companies who want to increase the lifetime value of customers (i.e. upselling, cross-promoting). Although some large corporations do use HubSpot for marketing automation, they are more likely to develop in-house software that’s fully customized for their team's marketing needs. Pardot – $1,000 to $3,000+ per month. Eloqua – $2,000 to $4,000+ per month. Part of the reason HubSpot gets away with charging so much less is their innovative pricing structure. As your business grows, you pay more. Depending on which package is chosen, you will pay a small premium for extra features and more active contacts. Could you save money by piecing together your own inbound marketing system? Probably, depending on which subscription services you choose. But eventually, you have to ask yourself how much your time is worth, and how much those "free" and cheap tools actually cost you. If you're paying $50 a month here, and spending 20 hours a month there, but never feel on top of things... Is it worth it? You can build a Franken-system, but we don't recommend it. In HubSpot reviews, you'll see many organizations raving about their results with HubSpot. Unfortunately, this creates a perception that the software is magical. Although Brian and Dharmesh have been known to venture close to Mordor, HubSpot is not magical. They understand their Buyer Personas. They have created content for each stage of the marketing funnel. Their website and blog articles are optimized for the right keywords. They are using effective paid advertising techniques to increase traffic. If your company spends more time "working the system" than actually marketing, HubSpot might be the perfect solution. Additionally, if you're in the process of launching a new website (and know you want a marketing platform), switch to HubSpot now. 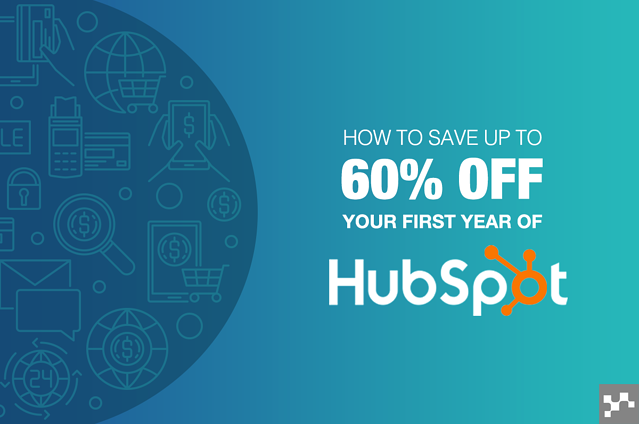 Curious about HubSpot Pricing? Check out HubSpot Pricing: Everything You Need to Know.